East of Thetford, Pellowe is on the outer edge of the Reef. 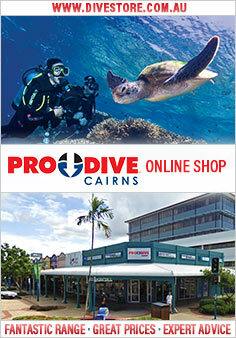 Pro Dive Carins has a 16 - 18 metre mooring which allows divers to make their way along this wall. Pellowe has strong currents during certain times of the year and therefore is only visited when conditions are favourable. It is a beautiful dive site and dolphins are often seen on approach to the area. Moray eels, Octopus, Bull Ray and White Tip Sharks are regular visitors to this dive location. Due to the variety and abundance of anemone it also makes a fantastic site for snorkellers.